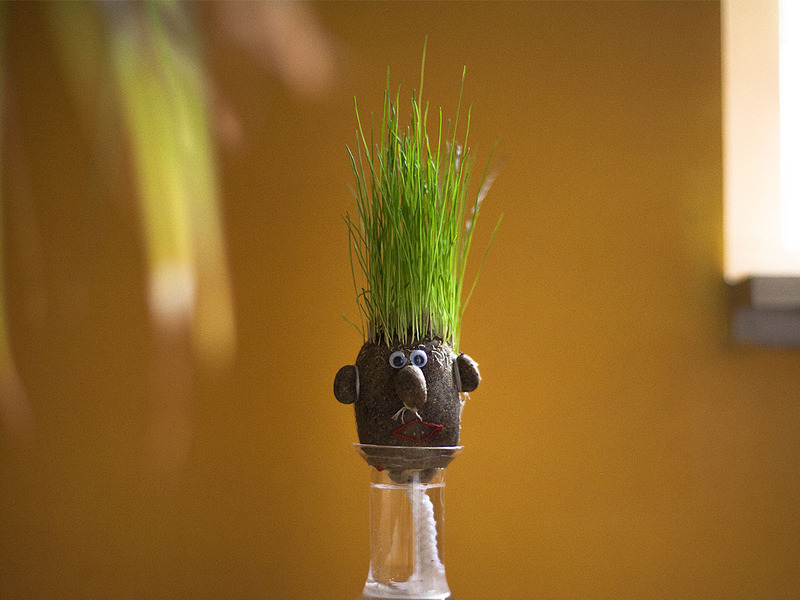 The Grass Head lets you practice your hairdressing skills to your heart's content! Are you sick and tired of your children practicing their hairdressing skills on their little brothers and sisters? Do you hate having to make the extra trip to the hairdresser to solve this problem? Do you think it's a shame that you keep finding brand new Barbies with their hair cut off in the playroom? 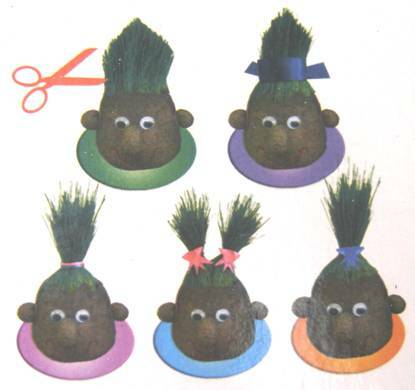 The Grass Head will provide you with the ideal candidate for your children's hairdressing experiments! This funny little man has green grass growing out of his head which just keeps on growing back. Don't like his latest style? Not a problem! Just wait until next week and start all over! Plus you can decorate him any way you want to! Give him full lips with some lipstick or put a hat on him. Put the Grass Head under warm water for 30 minutes. Remove it and hang it in a glass which is half full of water. Make sure the string at the bottom of the Grass Head is fully immersed. The first blades of grass will start to grow within a few weeks. Get your scissors ready so that you can start cutting once he has a full head of hair!